Many women, and men, are looking for a hair removal system that won’t cost them thousands of dollars like a salon or dermatologist’s office. This is where at-home hair removal systems come into play. Imagine having a system that works in the comfort and privacy of your own home, removes up to 97% of your hair, and doesn’t cost thousands of dollars. It’s exciting to think that can be possible at home, but it can be intimidating because not every system works effectively and delivers salon-type results. The LumaRx Full Body hair removal system uses IPL technology to give at-home users salon-quality hair removal. We’ll be covering the system in depth within this post, so read on! When you receive the LumaRx, you’ll remove everything from the box. While some devices are battery operated, the LumaRx has a base that’s plugged into the wall. The wand for the light technology is handheld and attached to the base as its power source. Shave the area to prepare it for the device. You don’t need to have long hair as if you were waxing it. The light system searches for the hair under the skin. The base of the unit has a skin tone sensor. This will let you know if you have the right skin tone and hair color to be treated with the device. You shouldn’t wait until you have the device in your home to know whether you can treat your skin color and hair type. There’s a color chart that should be helpful, but aside from the actual chart, you should know that light colored hair or dark skin won’t benefit from hair removal systems. The base will beep and the green light will appear when the unit is unlocked for use. After unlocking the device, you’ll need to choose the energy level of the unit. If you’ve never used a device like this or had treatments in a salon, you might be surprised by how painful it can be. Start with the lowest setting and see how it feels. It’s important to note that you need to wear protective eyewear when using this device. The light technology that is used to remove hair can cause serious damage to the eyes as well. The IPL unit targets the pigmentation of the hair, which will absorb the heat and deaden the follicle. This is why it takes time to see a noticeable difference in hair growth. Some hair follicles will become deadened immediately while others might not. It depends on how much light and heat is absorbed by the hair. Intense pulsed light, or IPL, will remove 20 to 40 percent of the hairs on the body with each treatment. This is because not all the hair that you see on your body is living hair. There are growth cycles that hair goes through, and they’re constantly changing. This is why you need so many treatments. The full system is great for large parts of the body like a woman’s legs or a man’s back and chest. With the attachment cap, the treatment window can be shrunk to allow it to be easily used on a woman’s face, too. It’s not recommended for use around the eyes for the eyebrows. It won’t shrink the light small enough, and can cause serious damage to the eyes. The manufacturer claims that within the first month with three treatments, there’s a radical reduction of hair growth. This will actually depend on the thickness and density of the hair, its color, and the cycle of your hair growth. Some people have hair that grows quickly while others might see less substantial growth in a month. 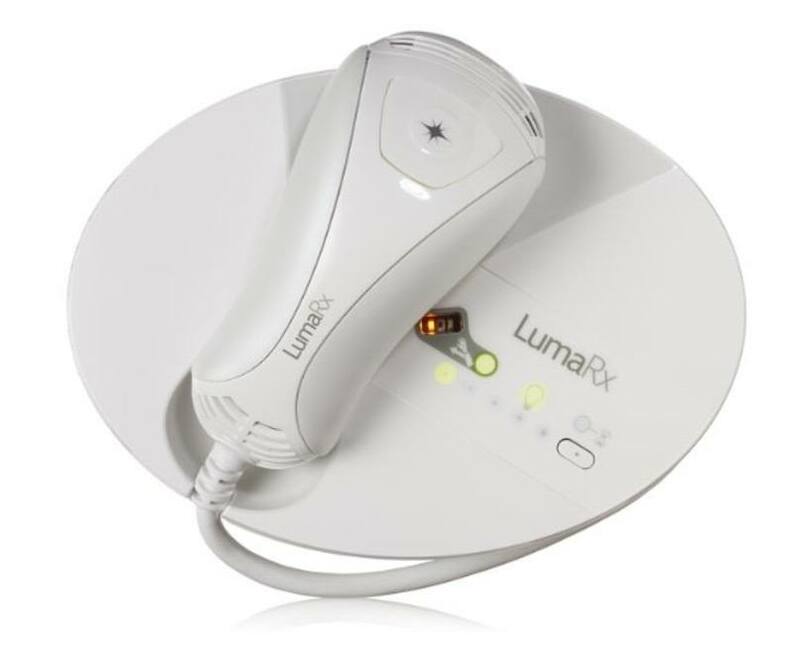 Many users have found that they have to use the LumaRx IPL Hair Removal Full Body system for a few months to do touchups. The average user will see over 60% of their hair reduced for 12 months after 3 treatments alone. 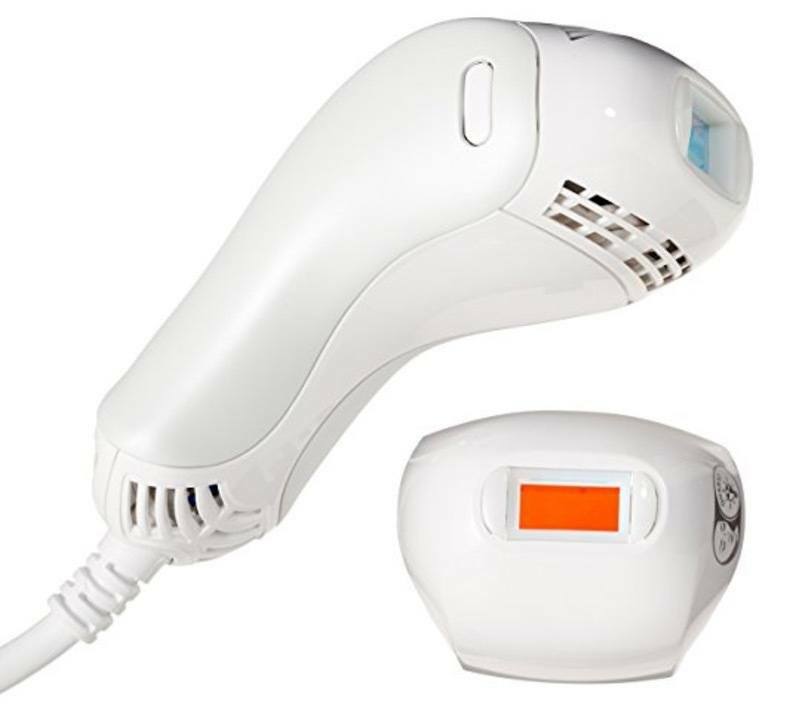 For less than the cost of one salon visit, people who want to see fewer hairs on their body can purchase the LumaRx IPL Hair Removal System Full Body to achieve salon-like results. While the device might not be as strong as the one in the salon, you have the added benefit of quickly giving yourself a treatment when it’s needed and not having to make an appointment or spend thousands of dollars for those treatments.